Prepared in 20 minutes or less plus overnight refrigeration. In a large bowl, combine garlic, onion, basil, parsley, mustards, kosher salt, white pepper, olive oil and lemon juice. Next, add the shrimp and allow them to marinate at room temperature for 1 hour or cover with plastic and refrigerate overnight. Preheat oven to broil or prepare a charcoal grill with hot coals. 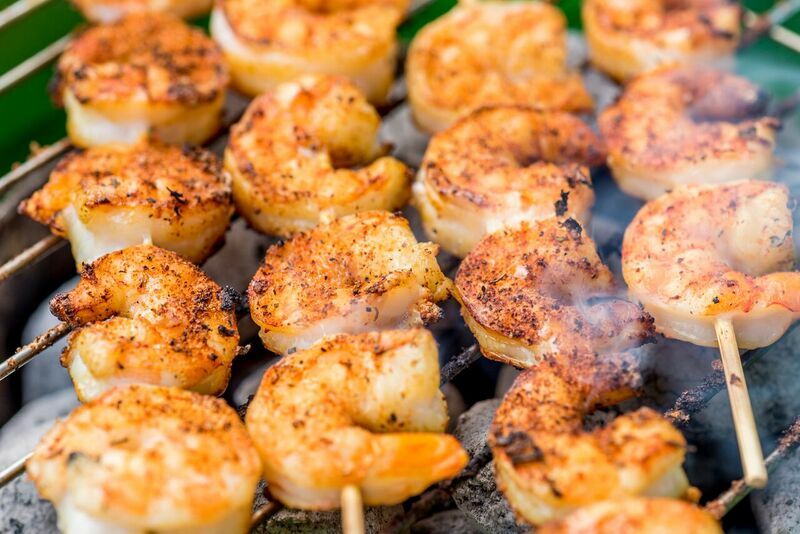 Remember to brush the grill with oil or Spray with Pam to prevent the shrimp from sticking. For a cocktail appetizer, skewer each shrimp on its own skewer and cook under a broiler or on a hot grill for 1½ – 2 minutes on each side.